— LEWISTON, MAINE – Ask Gabrielle Sergi about what she’s going to do after graduation and the question is almost overwhelming for her. A little frightening even for a swimmer who has dedicated her entire life to swimming over the past few years. 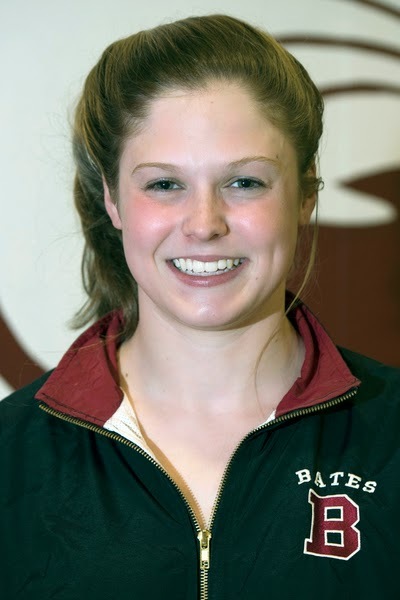 A senior swimmer at Bates College, Sergi recently earned New England Small College Athletic Conference (NESCAC) All-Conference honors for the fourth time in her career (two relays and two individuals). It is the culmination of years of sacrifice, travel and more sacrifice. She was also named to the NESCAC Winter All-Academic Team with a 3.61 grade point average in psychology. She earned a 4.0 last fall. It was only within the past few years that Newburyport High School merged with Triton to offer an interscholastic swimming program. That was never an option for Sergi, who graduated from Newburyport in 2010 and chose to attend Bates. Instead, Sergi swam for the Solo Aquatics, a year-round competitive swimming factory in Haverhill that manufactures collegiate swimmers like an automobile plant. Competing for Solo was more than an after-school activity. It is also a before-school activity. In her early teens, with a love for swimming, Sergi decided to forgo all things school-related (except for studying) to devote herself to Solo. Not only did she make the commitment, so did her parents, Michael and Stephanie. For more than four years, Sergi, along with Mom or Dad, awoke at 4:30 a.m. to make it to Haverhill for the Solo morning practice. Afterward, it was off to Newburyport for classes, then back to Solo for the afternoon session, which lasted between 2-3 hours. On weekends, there were meets all over New England, sometimes as far as New York. There wasn’t a whole lot of television in the Sergi household. Nor was there the time for the things that high school kids do: sleepovers with friends, late movies, birthdays. Individually, Sergi enjoyed a stellar career at Solo, where she still ranks among its all-time leaders in four events: the 50-meter freestyle (second, 24.48) and 100-meter freestyle (sixth, 54.38) and the 200-meter backstroke (seventh, 2:12.95) and the 100-meter backstroke (eighth, 1:02.48), which drew the attention of Casares. Casares liked Sergi for the relays too, but she had sparse experience in the relays during her time at Solo. 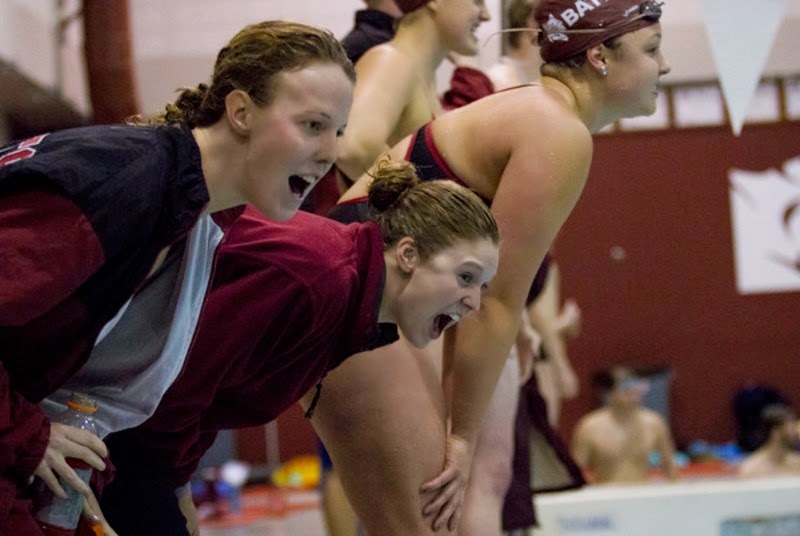 College swimming is more of a team sport, where clubs are geared toward individual acceleration. Casares recalls Sergi’s first collegiate meet when she dove in too early during a relay, resulting in a disqualification. “We laugh about that now,” Casares said. Sergi’s story is very impressive and it must have not been easy to come to this position to become successful. The fact that she was able to keep up with her studies as well, just adds to the appeal. I must say that she has a very impressive and inspirational story. These stories are an inspiration for those students who feel over burdened by their studies and work. Taking some help from proofreading and editing service can be really helpful to ease the buurden and help with quality work submissions.